SBI Recruitment 2017- Relationship Managers, Customer Relationship Executives & Various Posts. - Jobs4NE : Jobs in Assam and North East India. SBI Recruitment 2017- Relationship Managers, Customer Relationship Executives & Various Posts. 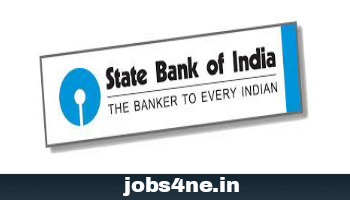 State bank of India (SBI) invites Application from eligible Indian candidates for the post of 255 nos. Relationship Managers, Customer Relationship Executives, Investment Counsellors & Various Vacancies for Wealth Management. Advt. No. : CRPD/SCO-WM/2016-17/21. Starting Date of Online Application: 24-03-2017. Last Date of Online Application: 10-04-2017. Date for Payment of Application Fees: 24-03-2017 to 10-04-2017. 1. Relationship Managers: 120 Nos. 2. Customer Relationship Executives: 65 Nos. 3. Investment Counsellors: 25 Nos. For Relationship Managers & Customer Relationship Executives: Graduate from Government recognized University or Institution. For Investment Counsellors: Graduate/Post Graduate with AMFI/ NISM (Module V) certified from Government recognized University or Institutions. Age Limit: As on 0103-2017, minimum 23 years and maximum 35 years for Relationship Managers & Investment Counsellors and minimum 20 years and maximum 35 years for Customer Relationship Executives. Upper age relaxation for OBC (Non Creamy Layer) candidates is 3 years, for SC/ ST candidates is 05 years & Persons With Disabilities (PWD) is 10 years. Scale of pay: On CTC Basis. Application Fee: For SC/ ST/ PWD Candidates Rs.100/- and for General and Others candidates Rs. 600/- through online mode [ Internet Banking, Debit Cards (RuPay/ Visa/ Master Card/ Maestro), Credit Cards, IMPS, Cash Cards/ Mobile Wallets].